As many as over 3,000 pheasants on the remote island of Ulneung-do in East Sea are on the verge of being shot to death as hunters and their dogs moved to the island from the mainland South Korea, according to local Korean dailies. A dozen of hunters and their dongs were recently invited to the island by the Ulenung-do local government, as the number of pheasants on the island rose sharply, and as the complaints of farmers became stronger. 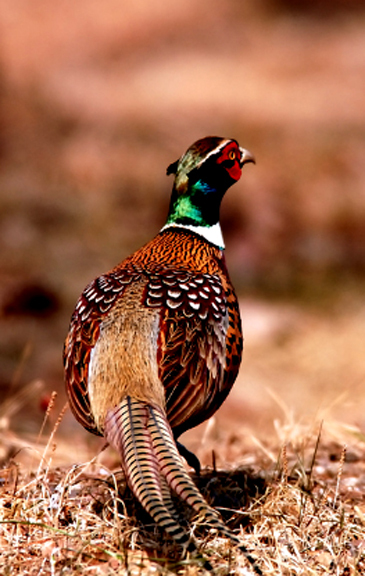 The farmers complained that pheasants are destroying the agricultural products on their farms. The pheasant hunting was all started on Jan. 16, 2015. The hunters were brought from the mainland as the island hunters alone were not able to eliminate the pheasants on their own. So far up to 100 pheasants have been hunted down by them over three-day period. "The body of pheasants here on the island is much smaller than that of pheasants on the mainland," one of the hunters was quoted as saying. "They seemd to eat only poor sprouts, not enough rich food such as corns and grains"
He said that there is nearly no predaters for the pheasants, no wild boars, no snakes, resulting in the drastic increase in the number of the beautiful birds.